On April 30, 2018, Microsoft released the Windows 10 April 2018 Update (1803) build to customers worldwide. 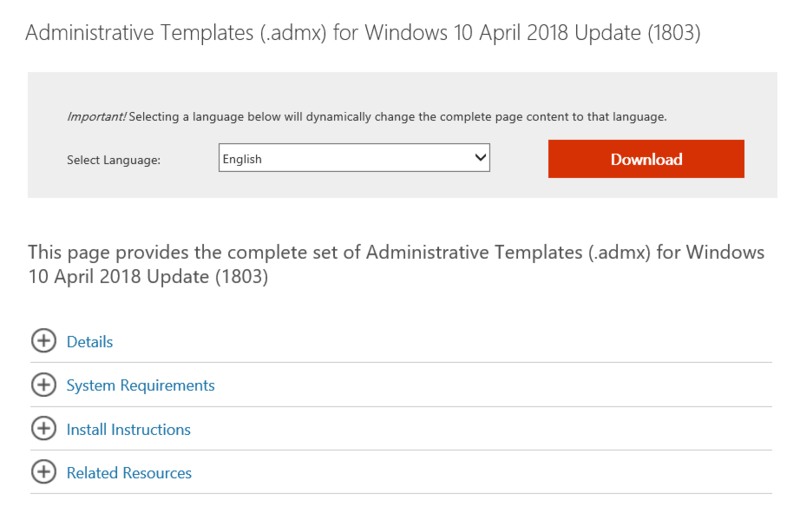 The following tools to support this latest release has been made available, which includes Windows 10 Administrative Templates (.ADMX), Windows Assessment and Deployment Kit (ADK), and the Remote Server Administration Tools (RSAT) for Windows 10 April 2018 Update. On October 17, 2017, Microsoft has started to rollout Windows 10 Fall Creators Update (1709) to customers worldwide. 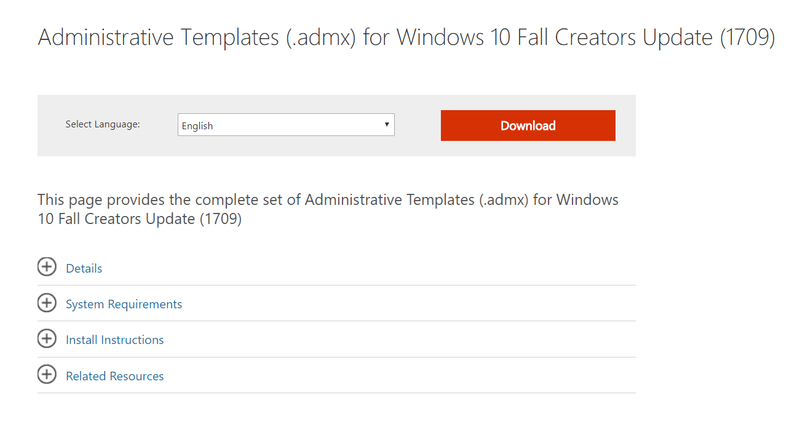 The following tools to support this latest release has been made available, which includes Windows 10 Administrative Templates (.ADMX) and Windows Assessment and Deployment Kit (ADK) as previously mentioned in my blog post. I have also posted about the Remote Server Administration Tools (RSAT) for Windows 10 Fall Creators Update. To coincide with the release of Windows 10 Creators Update (1703), the following tools to support this latest release has been made available, which includes Windows 10 Administrative Templates (.ADMX) and Windows Assessment and Deployment Kit (ADK) as previously mentioned in this blog post. The previous Remote Server Administration Tools (RSAT) works just fine with Windows 10 Creators Update.